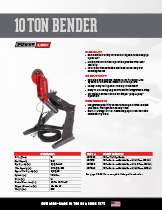 Our 10 Ton Bender is a quick-connect hydraulic tool that greatly expands your fabrication capabilities. 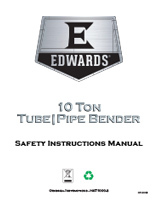 Designed for medium to heavy material, the Edwards 10 Ton Bender powers through 2" (I.D.) Schedule 40 pipe, 2-1/2" (O.D.) tube and 2" square tube quickly and accurately. 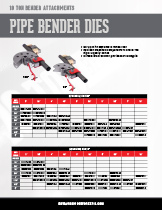 Choose from our over 280 standard Bender Die Sets to get your job done. Call for custom die information and material compatibility requirements. 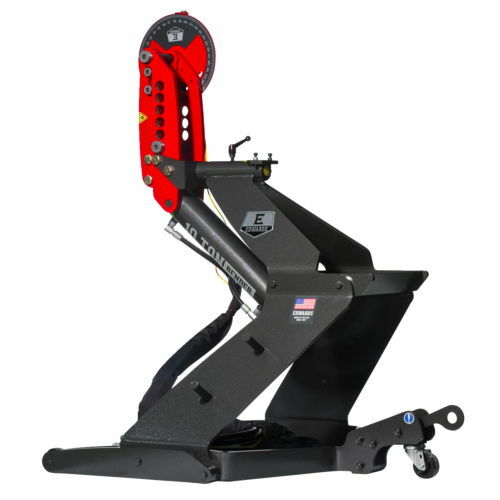 Power it up with an Edwards Ironworker with factory installed PowerLink System or an Edwards Portable Power Unit.